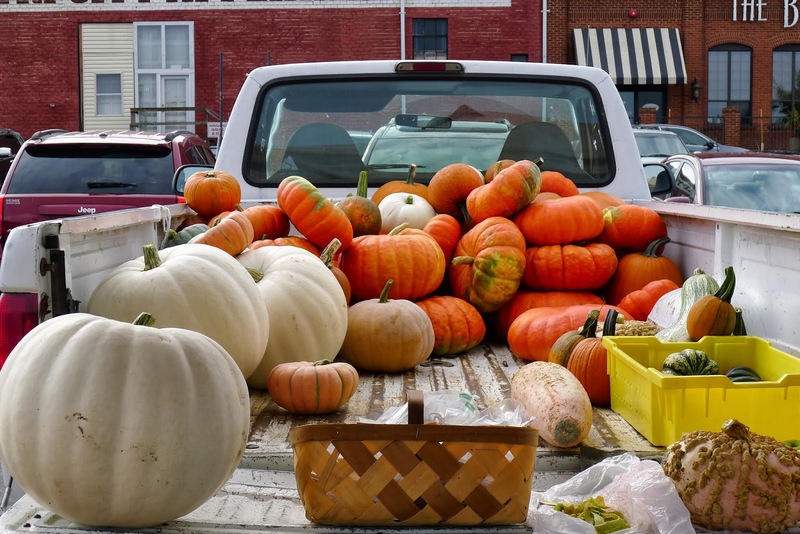 She even came with me to pick out pumpkins at the farmers market. She doesn’t often come shopping with me, so that was, um, fun. She LOVED the white pumpkins and begged me to buy a “ghost” pumpkin for her. How could I not? 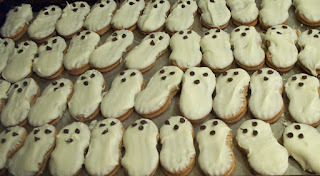 That afternoon, we (well, I) made ghost cookies to hand out to the kids. I decided to dress up as Sherlock Holmes, complete with deerstalker and pipe. (Hah! Take that Clod Dunbar.) Geneva was sad that no one will see her in her “costume.” To make up for that, I promised her we’ll have a slumber party – just her, me, and Argyle the cat – up in the attic study. “Will we stay up until midnight telling ghost stories?” she asked. I might regret that promise, but probably not. If you don’t have family, who better to spend a holiday with than friends of either the normal or paranormal variety? What normal or paranormal traditions do you have for Halloween? 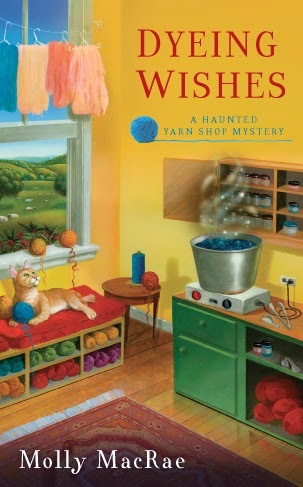 LAST WOOL AND TESTAMENT and DYEING WISHES, books one and two in the Haunted Yarn Shop Mysteries, are available in mass market, e-book, and audio book wherever books are sold. LAST WOOL AND TESTAMENT is the winner of the 2013 Lovey Award for best Paranormal, Sci-fi, or Horror Novel and was named as one of Suspense Magazine’s Best Books of 2012. Visit Molly MacRae at her website, on Facebook, and on Pinterest. 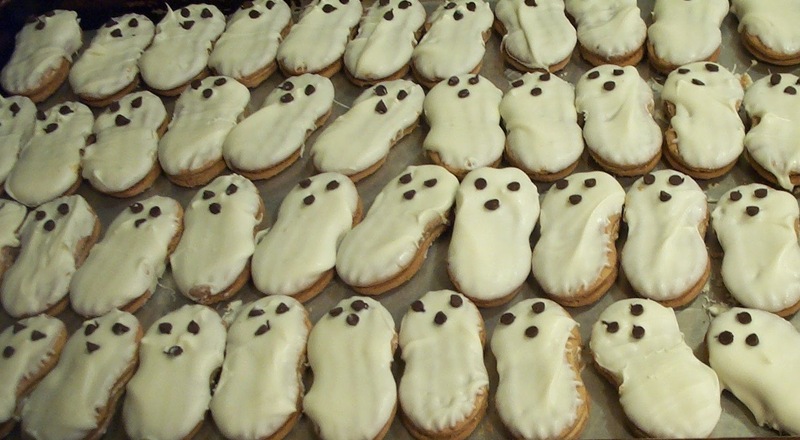 O that is sweet of you, to celebrate with a ghost. I do hope you girls have fun. Thanks, Aurian. You know, I think we will! For Halloween, I generally celebrate with spirits, too---but not the kind your talking about. Cheers, Kath!